17-year-old hip-hop producer Kord is one of many young Sudanese artists repping their culture from abroad. Of all the regional countries exporting their artistic culture, both to their regional and overseas counterparts, Sudan has often been overlooked and underexposed. Most people aren't aware of the simplest details about Sudan, like the fact that it’s an Arabic-speaking country with banks on the Nile and shores on the Red Sea, much less aware of its rich and diverse history and heritage, from its Pharaonic ancient history to its more recent colonial past, to the auspicious and promising cultural golden age that followed it, which met its demise under the oppression and grief of Islamist rule. In response to the latter, many of the nation's creatives and intellectuals have chosen life in diaspora ever since the imposition of Sharia law in 1983. Sudan, one of the most innovative and fertile lands in Africa, slowly withered and now lays nearly deserted. These days as Sudanese youth sprout both at home and abroad, they’re fed this vision of an older, more accepting homeland, a painting of an era when nightclubs and live music venues were bustling on every street corner in Khartoum. Fueled by this imagery and a yearning to put their heritage on display, a movement arose, prompting youth to create and share a myriad of work centered around their vision of Sudan, both past and future. One of the most prominent exports Sudan provides today is hip hop. With artists based in North America like Oddisee and countless more surfacing, regionally-stationed artists like Qatar-based Sammany, and those who still operate from home soil like TooDope, Loay Flippter, Sudanese hip hop artists are managing to turn heads on social media. These aforementioned names are just the tip of iceberg, however one specific young producer caught my eye as I sifted through one of the many Soundcloud accounts dedicated to supporting young talents. 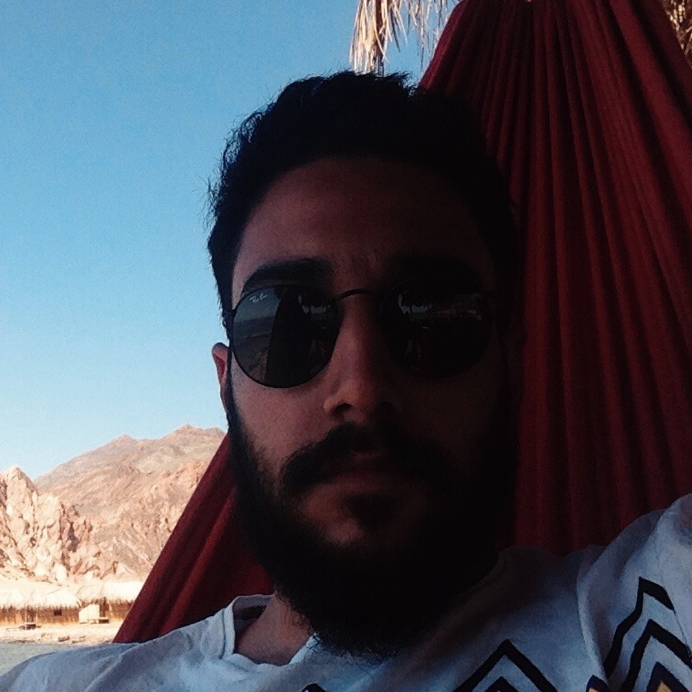 Ahmed Abbas aka Kord is a cryptic, Oman-based producer. With two albums, three singles, a handful of Soundcloud followers and little to no presence on social media, Kord’s music was too good, too high end for such little exposure - and he's only 17. 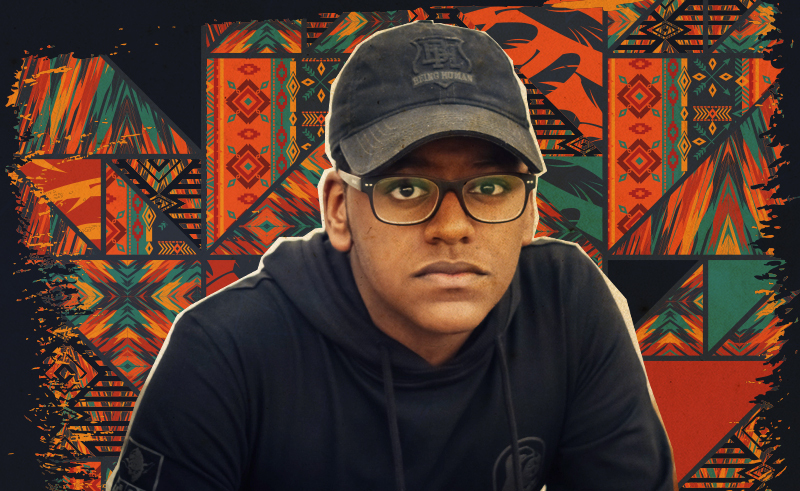 Abbas’s music can be described as highly influenced by trap, yet maintaining a strong connection to old-school hip hop and Sudanese cultural and historical references. 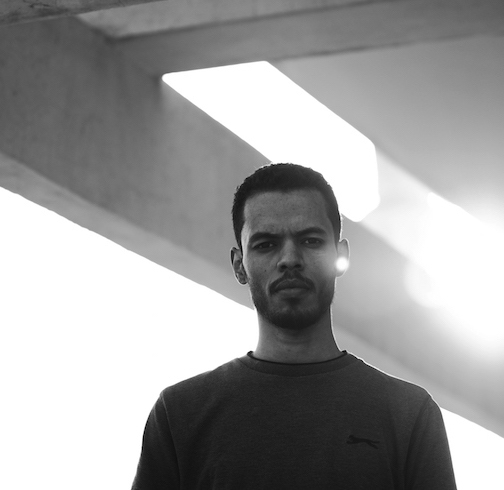 Kord possesses a unique sampling style of jazzy boom bap and trap productions inspired by the likes of Madlib, Oddisee and 9th wonder. And while he tries to balance between being a full time high school student and a producer, he managed to release his first mixtape - Proud Vol.1 - in the first quarter of 2017 which he describes as a "mellow, jazzy and hard” melange of styles. Fast forward five months to August, and he releases his debut album Laws & Dreams which marks a solidification in Kord’s production identity. The 17-track album follows a unified storyline. The tracks exhibit continuity and historical undertones purveyed by samples, artwork and track names like "Lost In The Kingdom of Kush," "Corrupt Presidents/My People" and "Gordon’s Last Stand." I couldn’t help but reach out to Kord and find out more about him and the scene that he stems from and represents. So Kord, can you start off by introducing us to the Sudanese hip hop scene? How and when did it originate from your perspective? From my perspective the Sudanese hip-hop scene is a big movement which was inspired by the golden hip-hop era of the 90s and also Arabic hip-hop, which was starting and evolving at that time, plus of course Sudanese music in general. It was created in the early 2000s, pioneered by the likes of Oddisee, Nas Jota and others that paved the way for future artists like us to join in this movement. So if it wasn't for these artists the scene wouldn't be what it is today, but in my opinion it definitely did not have a specific birthplace, because at that time the movement had different parts which were created from different places at the same time, and if you connect them all together you will get the Sudanese hip hop scene. And where exactly do you fit within this growing movement? Do you represent a newer wave of producers or do you more or less follow in the steps of its originators? Well I always try to mix between the two - a bit of new school and a bit of old school, so you could say that I'm in the middle. But I tend to follow in the footsteps of the originators more as they inspire me and I look up to them. How did you get into it personally? Did you have any local influences or was it solely foreign? I picked up DJing, but I needed something new so I started producing electronic music, but that ended up not cutting it for me. Around that same time I was transferring to a new school and there I met one of my best friends who loves old school hip hop and he got me into it. I eventually started making hip hop. That experience offered me a lot of inspiration, both local and foreign. Your last album is Laws & Dreams, released last August. Would you walk us through your discography, telling us a little bit about each release and what it signifies to you leading up to Laws & Dreams? Well on every beat that I make I try to utilize a different emotion that sets the story of what was going, and when I released the Proud Vol.1 compilation back in March it was exactly what I wanted it to be; to have a feeling that someone is proud of what you're doing is definitely what I was feeling at that time. Then I took a break for five months and started to work on Laws & Dreams. Unlike Proud Vol.1, the track list went gradually from a joyful to a melancholic mood. The main story of the album is about a young kid that is struggling with life, but by listening to music he finally finds the answers he’s looking for. I never wanted to explain this album to anybody I just wanted the listeners to perceive these 17 tracks on their own instead of setting a specific perspective of it. Do you get a chance to perform often, in or outside Sudan? I didn't play anywhere yet because of age restrictions. Promoters and organizers don’t take me seriously because of my age, even though several artists know me locally. What are the most common challenges that you or any other Sudanese musicians face, be it political, logistical or otherwise? Or is it actually a lot easier to be a musician over there than what most people might perceive it to be? We do face a lot of challenges that stand in the way of growing and evolving as an artist, both politically and logistically, from travel bans to immigration. These problems can put limitations on the creative process of an artist, not only for musicians or producers but also for artists in other creative fields. This makes it harder for people to pursue their passion, because I think music is one of the few things that connects the world together, no matter where you’re from. 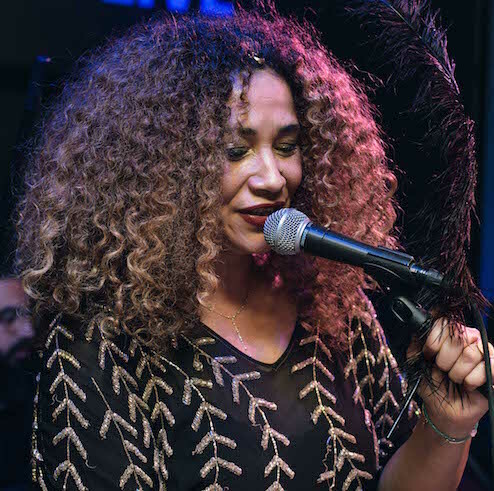 So to not be able to showcase your music and tour in other countries is a really bad thing for Sudanese artists when it comes to growing and evolving, that was one of the main messages that was carried through my album. What gives you the push to pursue your passion in music? Does watching some local producers like Sufyvn and others receive international acknowledgement play a role in that at all? My main inspiration is just my love for making music but definitely yes I'm always inspired by artists everyday whether they're local or international. To see Sudanese artists like Sufyvn, Oddisee or Bas make it, gain respect in the industry and get recognized internationally is definitely enough to make me get up every day and be inspired to work, grind, get better and to just keep going. What do you aspire to achieve with your career? Do you have any objectives set for yourself? Well one of my main objectives and goals is to grow the Sudanese hip-hop scene so that it reaches worldwide consciousness and for that to happen as Sudanese artists need to unify so that it can evolve and get bigger but I feel like I have so many goals that I'm not going to live long enough to achieve them all but i guess we will see. Are you working on anything at the moment or hitting anyone up for collaborations? Well I'm in between releasing tracks right now but I already started working on Proud Vol. 2, it might include a bunch of collaborations with Sudanese artists, most probably it will not have trap stuff unlike my last releases. I'm going to take a different direction with this one and it's going to be something you've never heard from me before, so I'm going to take my time with it. So what’s a normal day like for Kord? And what do you listen to asides from hip hop? A normal day consists of me going to school and listening to or producing music, but I'm trying to take a break from producing now because it's my senior year and I'm trying to focus on studying so that I can get into sound engineering in university. I listen to a lot of stuff other than hip-hop from electronic to jazz and alternative rock like Deadmau5, Eric Prydz, Bloc Party, Phoenix, Sharhabeel Ahmad and Ronnie Laws. We'd like to feature more Sudanese artists on SceneNoise. Can you give a few names that you'd like to see featured on here in the future? Keyz, Moto, Ramey Dawoud and Mouraine are nice artists that represent the Sudanese hip hop scene in it's true form in my opinion. Follow Kord on Soundcloud for updates on his music.